Home / BCGF whats happening / Canning/Pickling/Pantry Basics / Foraging / Homesteading/DIY / Little me moments / Reviews/Giveaways / Shop / Lilac & Pineapple Jelly Processing & Small Shop Update! 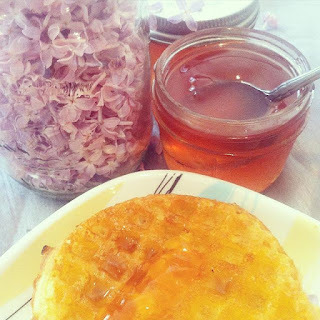 Lilac & Pineapple Jelly Processing & Small Shop Update! Yup, it is definitely a house full of lilac smell. We have been in serious work mode. Pooped but sincerely grateful and satisfied! As you can see above, there is finally some movement happening with regards to Lilac & Pineapple jelly making! I was a bit concerned at first because lilacs were latethis year and with working, plus a tail-bone injury, I thought this best seller might be shelved for this year. Never been so happy to be wrong! The pics do not do it all justice but you can get a feel for it. It has been a long 2 weeks, there has been so much to do. It is such slow, painstaking work because every delicate bunch of flowers, must slowly be removed. and that means one little flower at a time is picked off, which made up the larger cluster. I feel that it makes a huge difference to the final jam or jelly product though. As you can see we managed to score loads of lilacs out in Hemmingford, Quebec. There was the mother load of lilac bushes in this place we dubbed, "Lilac lane". They were big, beautifully coloured, healthy, and full, fragrant bushes. Some were so tall, we could not reach the tops. In the end we had over a hundred cups of processed lilacs that allowed me to make a full dozen,large ziploc bags of lilac steeping liquid. 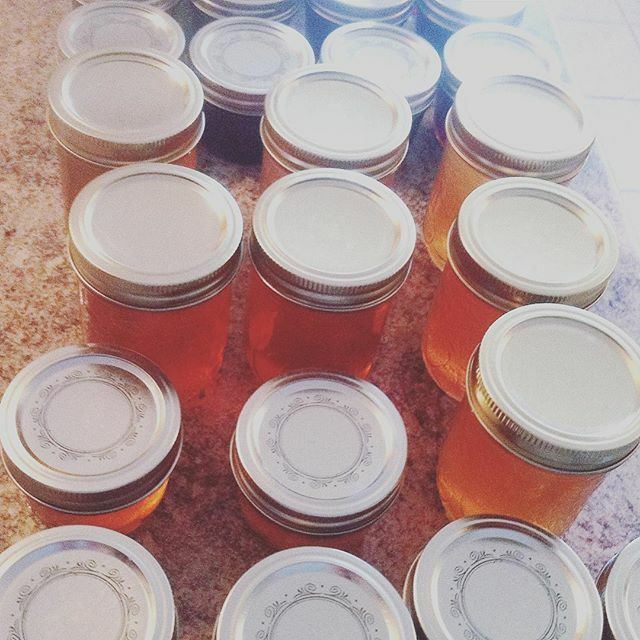 That is way more than my paltry 4 bags of last year- happy dance moment for me, as it will allow me to make loads more jam and jelly! Now that I finally have my desperately needed new freezer, (thanks Poppa Bear for the awesome sauce birthday gift!) I actually had a place to put all of these baggies. We got such a great deal on it, we had gone in for a much smaller model that was 45% off but there was a problem with delivery, so, for $25 more we got a freezer 2 sizes up, that should have been an additional $200+. Score!!! This freezer came just in time, there was loads of packaged lilac juice in need of a place to hibernate, until ready for use. As you can see, I had to sit them up, I protected them by doing the initial freeze in a box; when they were set, I was able to remove them and lay them on top of one another. So, next steps are to start the long process of canning and then the fun part of adding labels, decorative covers, and making them pretty. We are also making a run out to Dunham very soon, as they have some wonderful berries and honey on hold for me. I cannot get enough of this delectable, healing, not pasteurized, organic honey! I can start making some more products and finally re-open the Etsy shop, Yipeeeeee!!!!! I have had people asking me about when it will be opened again, and where can they buy what they have had before, or tasted, but the BCGF line is really seasonal. I have to wait and work with what is available, and I am a very small start-up still. This means better taste and quality, but also that small batches come and go quickly. Please bear with me. This year, I am aiming to increase my stores for better availability. If you want to read a blog post all about Paradis Des Fruits out in Dunham, and how you can go berry picking with you and the fam this summer, click the link that follows. I highly recommend it as an outing because it is gorgeous, the produce is local, tastes amazing, and it is an enviro farm with the most amazing bunch of people, who will welcome you very warmly. You will definitely be making memories and you can taste what they have to offer before you pick or buy. This is the work in my near future! Will write more on those adventure's very soon and will keep all posted as to shop status, giveaway (see pic below for a sneak peek!) finally coming soon, and any places BCGF will be seen and heard in the near future! Keep checking in, thanks for stopping by, and don't forget to subscribe! 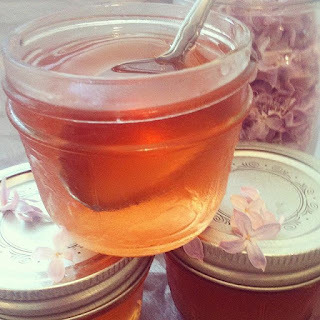 1 comment on "Lilac & Pineapple Jelly Processing & Small Shop Update!"